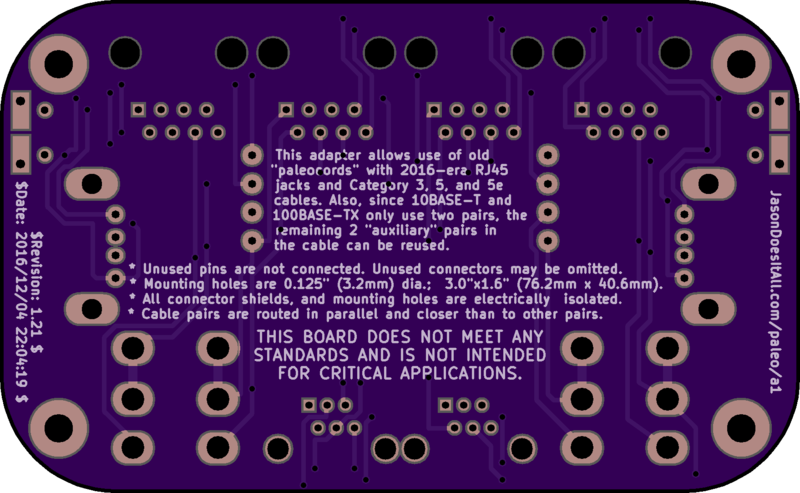 2 layer board of 3.52 x 2.17 inches (89.3 x 55.0 mm). Uploaded: December 4th, 2016 22:07. 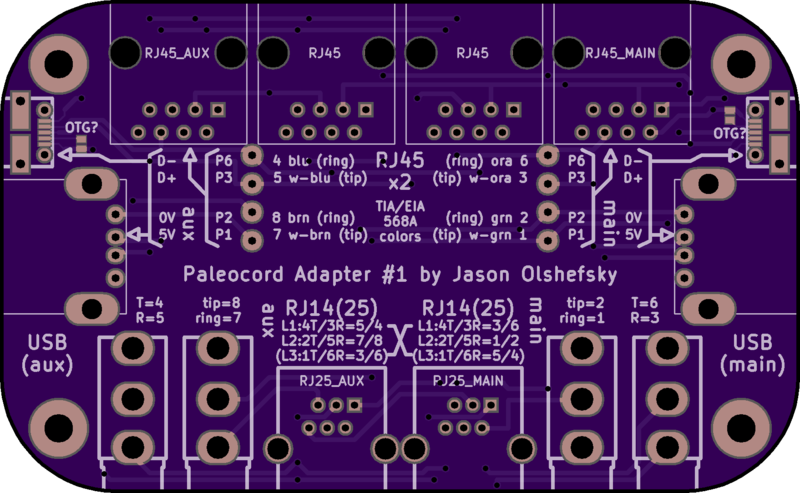 Paleocord Adapter 1 is a circuit board that permits the somewhat proper interconnection of RJ45 TIA/EIA-568A wiring standard to RJ25 / RJ14 / RJ11 landline phone jacks, USB cables, and phone jacks. Version 1.21, 2016-Dec-4; see JasonDoesItAll.com/paleo/a1/.